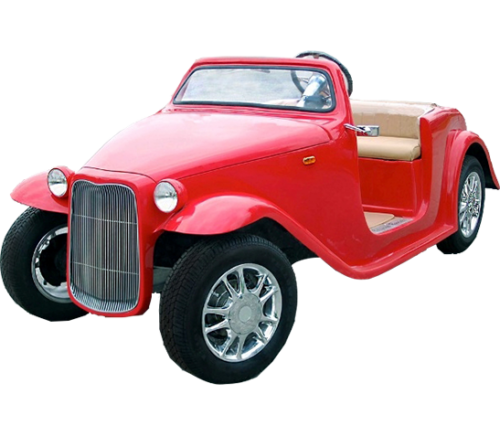 American Custom Golf Cars or ACG got its start in 1988 as a small company called IFG who supplied innovative body modification kits to the automotive specialty market. Ray Hoogenraad purchased the company and then spent the next five years building it up into the world’s leading component car manufacturing business. Before long, the company was designing and manufacturing specialty components, and even producing movie cars. Some of their most memorable work can be seen in Batman 1 and 2, Sean Connery’s The Rock, and Dolf Lundgren’s Army of One. ACG as it is known today was established in 2000, when it also started a partnership negotiation with famous automobile hot rod designer, Boyd Coddington. This collaboration with Coddington then saw the market release of a hot-rod styled golf cart – the California Roadster. ACG has also produced on stage electric show cars for rock artists, and custom one-off show cars such as the world’s only Harley Davidson motorcycle limousine, and a Red Bull jet engine fuelled funny car. Browse our wide range of ACG low speed vehicles today! For any inquiries or concerns, feel free to drop a note in our site and we would be more than happy to assist you. To date, ACG has an annual sales volume of 2,500 vehicles per year, and 81 licensed distributors around the world – including Golf Cars Unlimited. You love vintage vehicles. ACG low speed golf cars got the vintage-feel down pat with their California Roadster and 39 Roadster models. Fans of Boyd Coddington would love the classic 2-seater California Roadster. 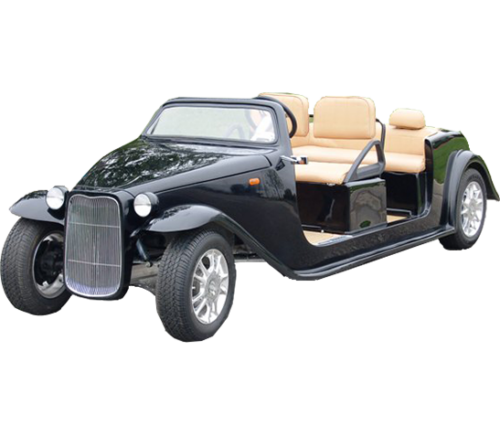 For those who enjoy golfing with their family and friends, then the 4 or 6-seater California Roadster – Limo would be a better fit. 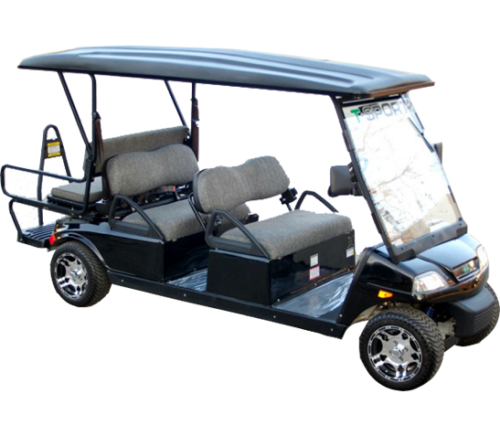 Both LSVs are extremely powerful with its 17.5HP motor and six 8V batteries – allowing the vehicles to reach around 25 miles per hour seamlessly. Another classic option would be the 39 Roadster that boasts of an aluminum build and technologically advanced features. Plus, the three models’ sleek convertible style is sure to turn heads wherever you go. Rugged is more your style. 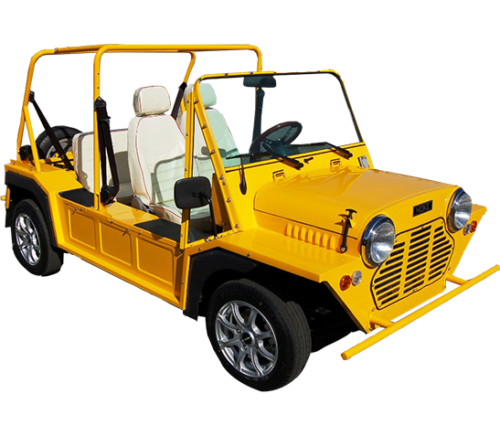 ACG also has an option for those who prefer a more rough and well-built look – the Moke. Built like a Jeep or Gypsy, the Moke also has the same powerful 17.5 motor engine under its hood. It offers plush interiors that guarantee comfortable seating for everyone, and an excellent maneuvering system. Plus, the vibrant colors and design, and stylish lighting will surely catch the attention of everyone. You love the look and feel of golf cars. If the Roadster and Moke are too flashy for your taste, then you should consider the T-Sport series. 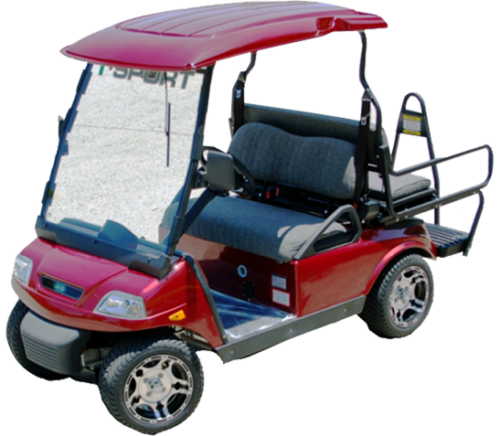 ACG offers a wide range of low speed golf carts with its T-Sport series – which comes with a powerful motor and an efficient 48V battery system. The models differ based on the seating and cargo capabilities – with the T-Sport Cargo best for hauling with its spacious back, and the T-Sport Limo best for big groups with its long and spacious build that can seat up to six people. You are looking for a high-quality LSV. ACG’s low speed golf cars are engineered from the ground up, with the best and completely new parts. The units are built from rugged and corrosion-proof steel or aluminum beams. You want a high-powered LSV. All of ACG’s units have a Hi-output 17.5 peak horsepower AC motor – powerful enough to transport you and your passengers at speeds of up to 25 miles per hour. At the same time, the ACG low speed vehicles use a long-lasting 48-volt system to ensure maximum range, plus top Traction AGM batteries that are managed by a SEVCON computerized controller. Plus, you can also charge your gadgets in the LSV as all models feature an on-board 12-volt converter that will provide you with an in-dash power source. Safety is a priority for you. For added safety, ACG low-speed vehicles are outfitted with standard headlights, brake lights, turn signals, horn, and windshield wipers. ACG also uses a standard 4-wheel brake system that includes front-wheel hydraulic disc brakes.